On November 19, 2015, the United Nations Third Committee Human Rights Plenary adopted Resolution A/C.3/70/L.59/Rev.1 “Combating Glorification of Nazism, neo-Nazism and Other Practices That Contribute to Fuelling Contemporary Forms of Racism, Racial Discrimination, Xenophobia and Related Intolerance.” 126 United Nations member states supported the resolution, including China, Russia, Cuba, the Democratic People’s Republic of Korea, Armenia, Azerbaijan, Brazil, Argentina, India, Kenya, Mexico, Philippines, Serbia, South Aftica, Zimbabawe, and a majority of other United Nations member states. The transcendent unification of Syria and Israel in support of this resolution is striking and extraordinary evidence of the remembrance of the horror at the nazi atrocities, the historic scourge which led President Franklin Delano Roosevelt to found the United Nations. 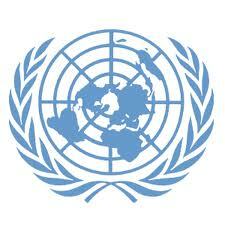 Four states opposed this Resolution, including the United States, Ukraine, Canada and Palau. This year marks the 70th Anniversary of the establishment of the Nuremberg Tribunal and adoption of its Charter, a founding document of the United Nations which condemns Nazism. It is therefore a violation of the very essence of the principles upon which the United Nations was founded to oppose this resolution. This is not a question of freedom of speech and expression, which the United States repeatedly alleges as its motive for opposing this resolution, year after year, for almost a decade. stresses. In this regard, that it is important that States take measures, in accordance with international human rights law, to counteract any celebration of the Nazi SS organization and all its integral parts, including the Waffen SS. In view of the Special Rapporteur’s unequivocal denunciation of any and all commemorative celebrations of the nazism, whether official or unofficial, it is questionable whether Ukraine opposes the anti-Nazi resolution for the reason it cites (questioning the motive of the Resolution’s sponsor, The Russian Federation), or whether Ukraine opposes the resolution because its current government is, in fact, actively pro-Nazi. There is troubling evidence of the latter possibility – or probability, as Ukranian President Poroshenko recently cancelled the February 23rd Commemoration Day of the Victory of the Soviet Army over the Nazi invaders, and has replaced that sacred commemoration by proclaiming October 14 as the Ukranian National Day of Celebration, commemorating that very day in 1943 when Stepan Bandera’s Nazi army was established. Certainly the United States should be alarmed by Ukraine’s recent glorification of Nazism, since it was Stepan Bandera’s OUN which during World War II planned assassination attempts against the fiercely anti-nazi United States President Franklin Delano Roosevelt. The Ukranian government has chosen to betray and to trash some of the noblest aspects of Ukraine’s history: the symbol of Ukraine’s past and currently betrayed heroism is in the famous World War II “Match of Death.” On August 9, 1942, Ukraine’s world-famous soccer team was held prisoner by the Nazis. They were promised that if they defeated the Nazi team in a soccer match, they would be given their freedom. The Ukrainian team, the “FC Start” local soccer team then played in a contest with the Nazi team, “FLAKELF” the Nazi air defense artillery team. The Ukranian soccer team won the match, defeating the Nazis 5 to 3. The Germans then hanged every member of the victorious Ukranian soccer team, as punishment for humiliating Germany in so great a defeat. Those Ukranian soccer players were not naïve. They knew that their Nazi opponents would not honor the promise to spare their lives. They fought to victory to prove that the Nazis were not invincible, even in soccer, the most popular sport in Europe. The Nazi humiliation was a symbol of the ultimate Nazi defeat by the Soviet army. In cases of disabled prisoners, entire lower limbs were amputated, then upper limbs were amputated, and the victims were then murdered. In May, 1943 the German Orthopedic Society at Congress of Reich Physicians gave awards to the perpetrators of the horrific Ravensbruck mutiliating experiments. The Ravensbruck horrors were only an infinitesimal part of the Nazi scourge which ravaged Europe. It is therefore particularly alarming that the European Union, voting as a block, abstained on this anti-Nazi resolution. It is also revealing that many countries currently being demonized by US/NATO for human rights abuses, including DPRK and Zimbabwe, supported this anti-Nazi resolution. This is one more significant piece of evidence of the Orwellian distortion of truth that is deeply entrenched in the narrative of certain States at the United Nations. Indeed, this anti-Nazi Resolution has become a barometer of which countries actually respect human rights, and which countries hypocritically proclaim human rights which they, in fact, conspicuously and shamelessly hold in contempt.